The exhibition includes three collections of Occipital’s work; Form, Perception, and Fluidity. With the help of the Graphic Communications Program there are some interactive and bold accents in this presentation. Come in and see for yourself as the exhibition continues until January 27th. Click here for gallery hours and information. Come watch me live paint Thursday October 11th at Brompton Junction. The paintings and a custom painted bike will then be on display until November 9th! New work from members of the collective who identify as She/Her/Them. Painting, works on paper, photography and more. This event includes viewing of a large scale mural in the lobby of the Granoff Center as well as a pop up gallery and reception to celebrate the mural installation. 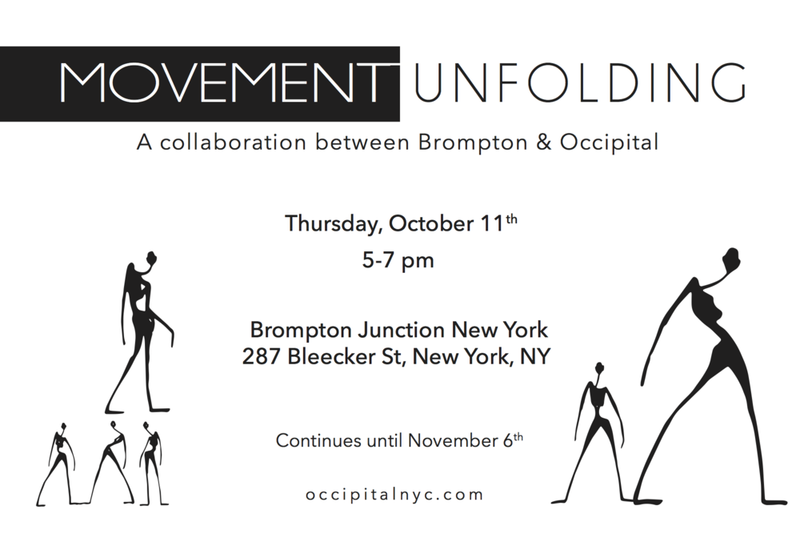 This event was to showcase Occipital to the NYC community. The night was filled of curated music and happy hour included a signature "Occ-tail". The gallery wall was interactive, as artwork was sold it was taken off the wall. As the night went on the Occipital gallery wall kept moving and rearranging.